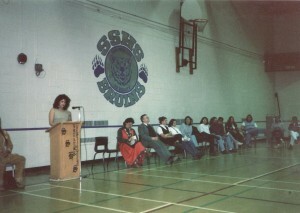 I would like to thank Darcy for inviting me to speak today at the 20th Anniversary of SSHS celebrating Treaty Day. Last year I was doing some cleaning at home and found some old photo albums of pictures that I had taken when I was working at Sugarloaf. 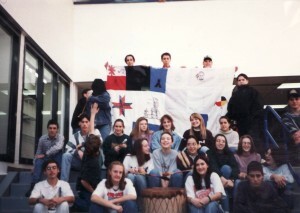 Included in the pictures were photos from the first Treaty Day celebration that I had organized in 1995. Later in the year, I had a conversation with Darcy, and I mentioned to him that 2015 will mark the 20th anniversary that SSHS has celebrated Treaty Day and that I had pictures of the event that he could borrow and include in the 2015 celebration. My original plan was to provide Darcy with the photos, not to be a speaker, but here I am. I began my teaching career as a Teacher Assistant and attended university part-time. I received my teaching degree in 1989. 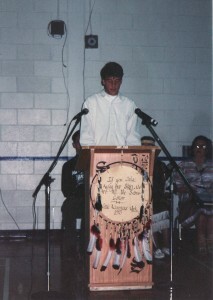 I worked at CMS, then here at SSHS and am presently at the AGS. My assignments at SSHS were to teach one class, to organize an Aboriginal cultural center in the school, and to be the guidance counselor for the Native students. 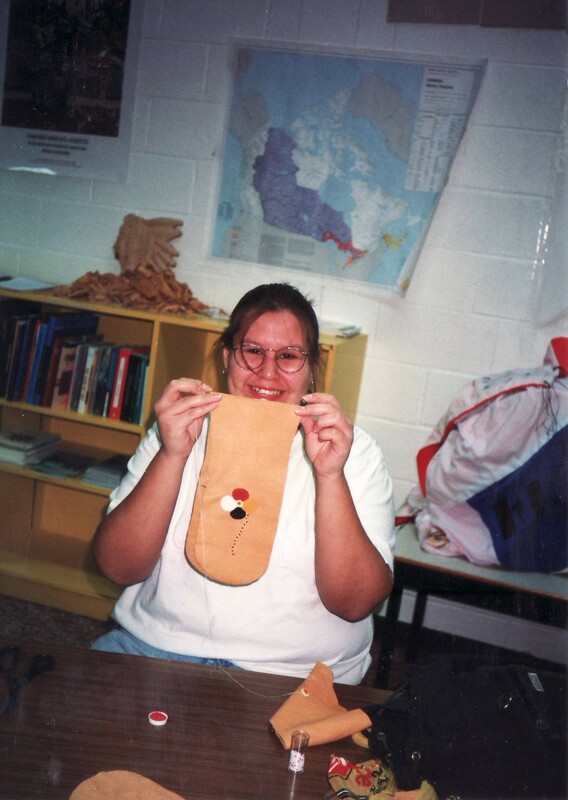 I decided to show a visual presentation on how I included First Nation content into my classes and the activities that the students and I organized that recognized and promoted the contributions that First Nation people have made. 1. 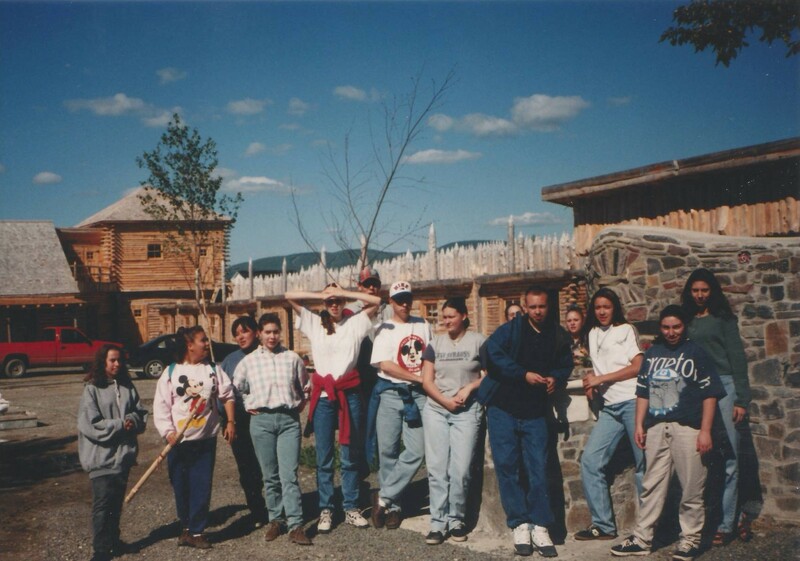 Native Awareness Week 1993 – One of the first events that we facilitated was Native Awareness week in 1993. 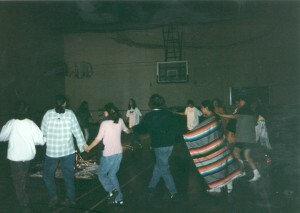 This event was celebrated during heritage week and featured First Nation people and organizations from Listuguj. The objective was to bring awareness to the resources that the community had to offer and to welcome others to our visit our community. 2. 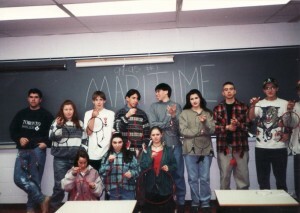 Maritime Studies Class 1994 – In addition to including First Nation history in the lesson plans in my Maritime Studies class, I had learned how to make a dream catcher and decided to teach the students how to make one also. 3. 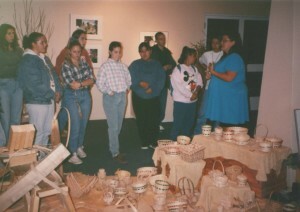 Trip to Maria 1994 – This activity was organized to teach the students how baskets were made. The wood mainly used in basket making is ash, which isn’t readily available in our area; so our class went to Maria and spent the entire day learning how our ancestors took a piece of wood and transformed it into a work of art. 4. 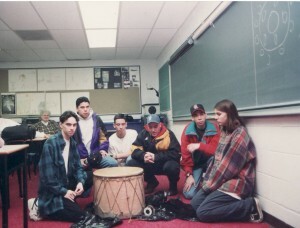 Native Studies Class – Drum 1994. 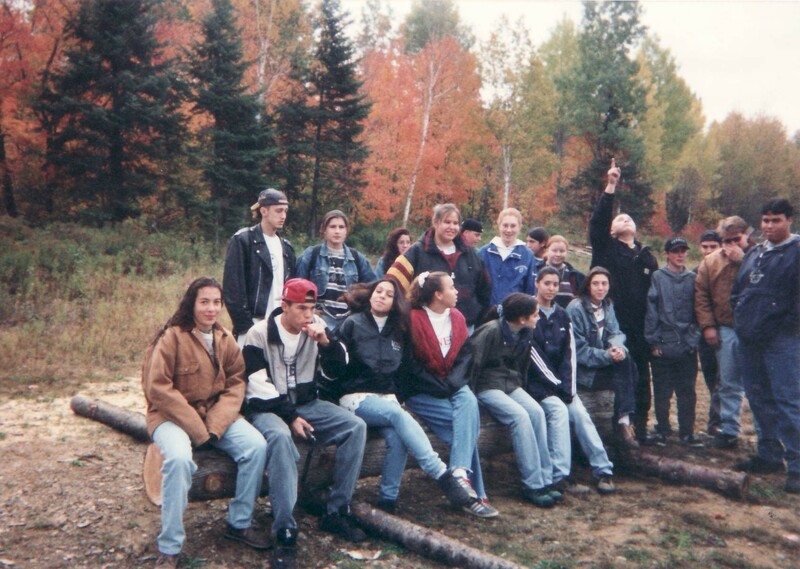 SSHS was one of the first schools in the province of NB to pilot the Native Studies 120 course. 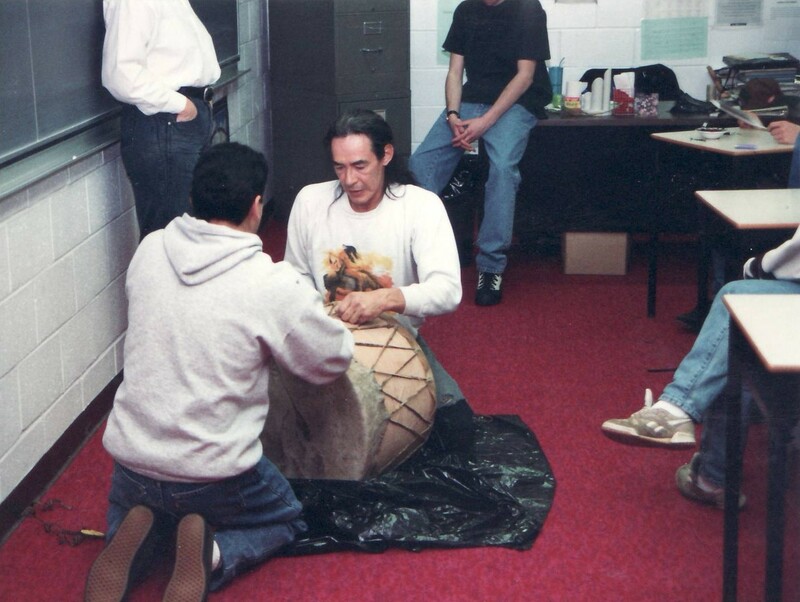 A drum group was in the process of being formed; however we did not have a drum, so we decided to make one. 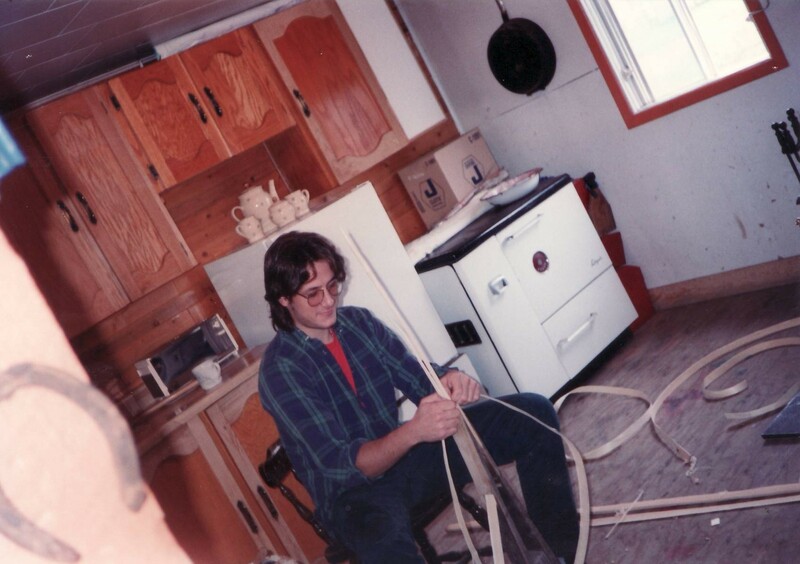 Don Caplin was our instructor and his teachings were very hands-on, as you can see from the photos. That was the one and only time that I de-haired a moose. 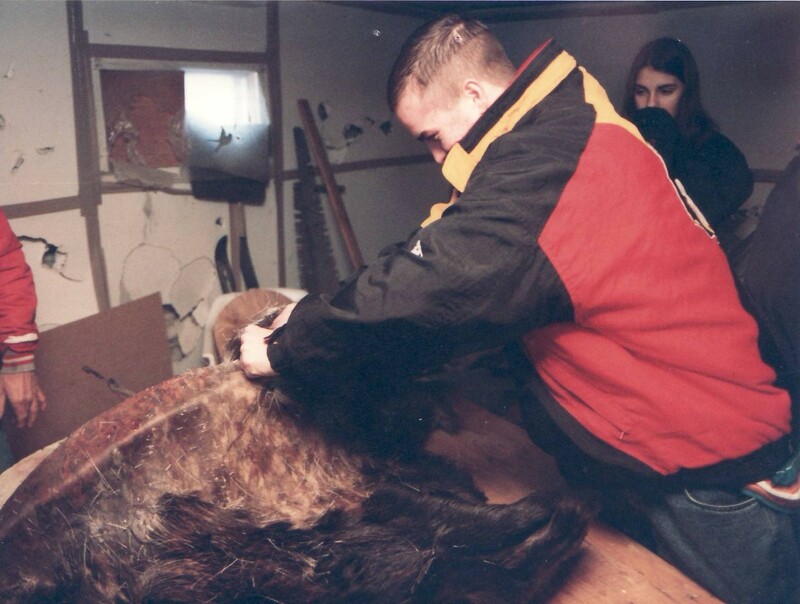 After the moose was cleaned it was brought to the school to be dried. We placed it in the industrial lab area – not realizing that the ventilation system would carry the smell throughout the entire school. Administration was not pleased with me on that day. 5. 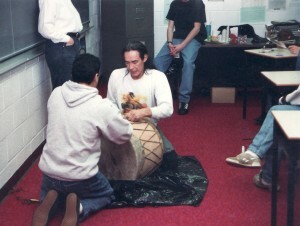 Drum Cover 1994-95 – After the drum was completed, it needed something to be covered and carried in. The students each created their own work of art on a piece of material and we then sewed it together to create the drum cover. I want to mention that all of the classes, cultural center activities and all events were open to all students – not just the First Nation students. 6. Variety Show – 1995. 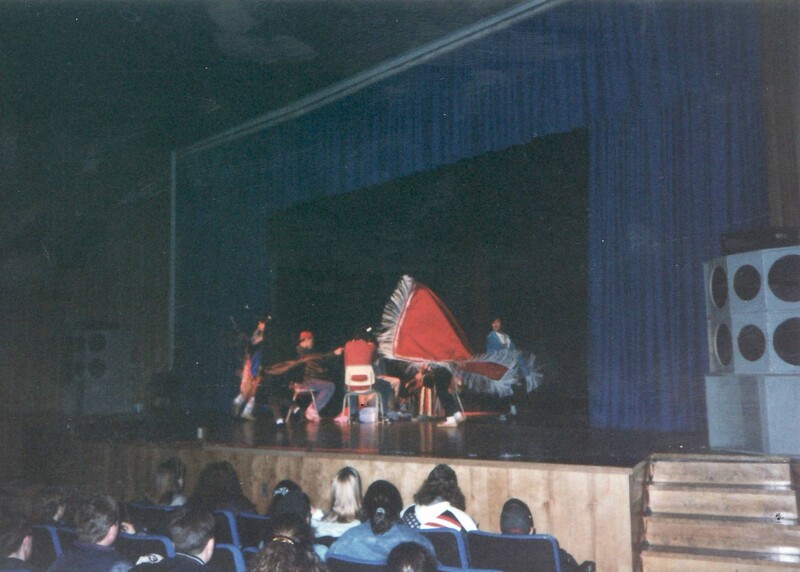 This was an annual event that was put on by the school and in 1995, for the first time, the show included the school Aboriginal drum group and the shawl dancers. 7. Treaty Day 1995 – The first Treaty Day event was held on Oct. 1st, 1986 in Nova Scotia. It recognized the connection between the government and the Mi’gmaq Aboriginal people and it commemorated the Peace and Friendship Treaties that were signed in the 1700’s. 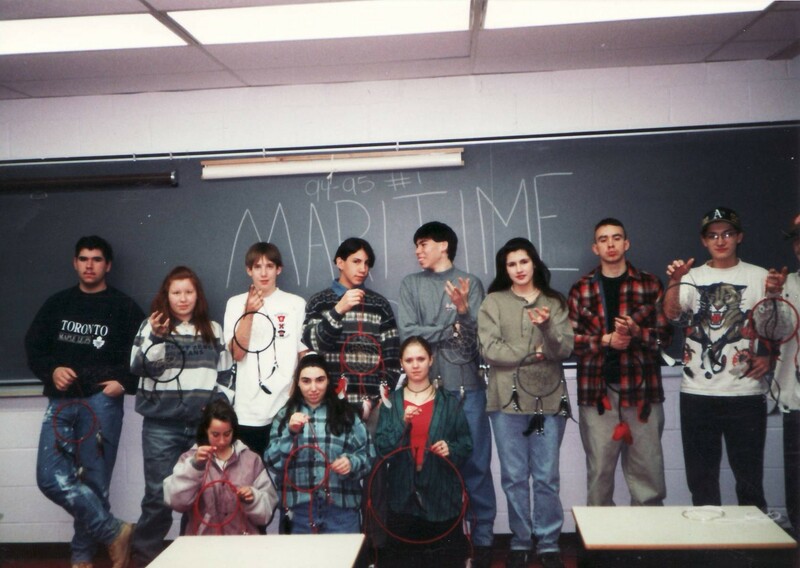 As 20% of the school population was Mi’gmaq at the time, we decided that SSHS was going to have a celebration on October 1st also to recognize Treaty Day. The school drum group performed and were accompanied by the shawl dancers. 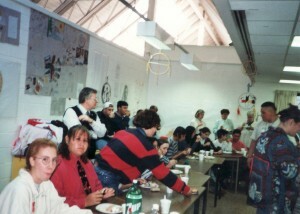 A traditional feast was held in the cultural center. My mom – Gerry Basque – made corn soup and listugingin and other traditional foods were also served. My mom could not be here today, but she did make her corn soup again, which you will be able to sample later during the feast. That event started the tradition of celebrating Treaty Day at SSHS and I am very proud and happy that the tradition was carried on by individuals and still is celebrated today. 8. 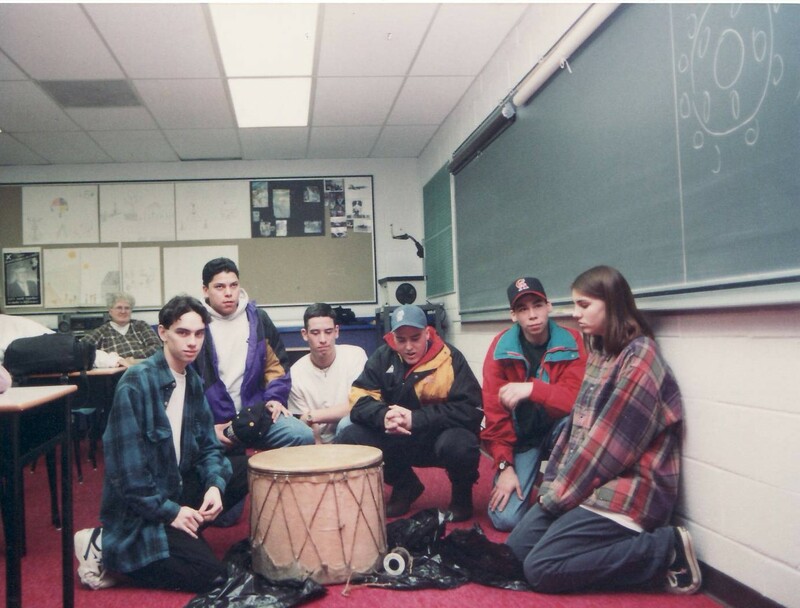 Native Studies class 1995 – There were a number of events and activities that happened and continue to happen at SSHS that include First Nation Peoples contributions in history. 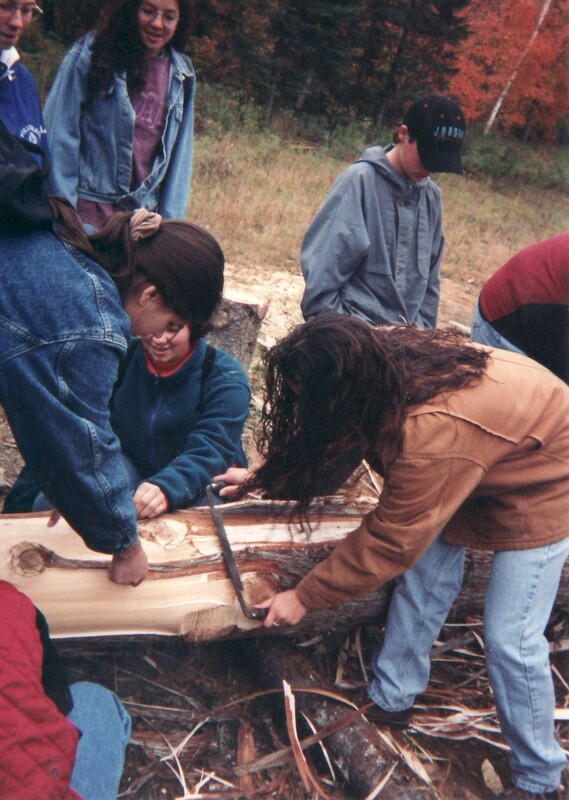 The Native Studies course became an accepted elective course for graduation and is offered in many high schools in NB, including here at SSHS. I cannot show you all of the many positive things that have taken place over the years, due to time; however I do want to show you a few more pictures from activities that the students participated in. 9. 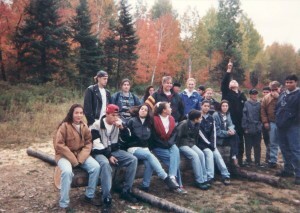 Native Studies Class Totem Pole 1995-96. 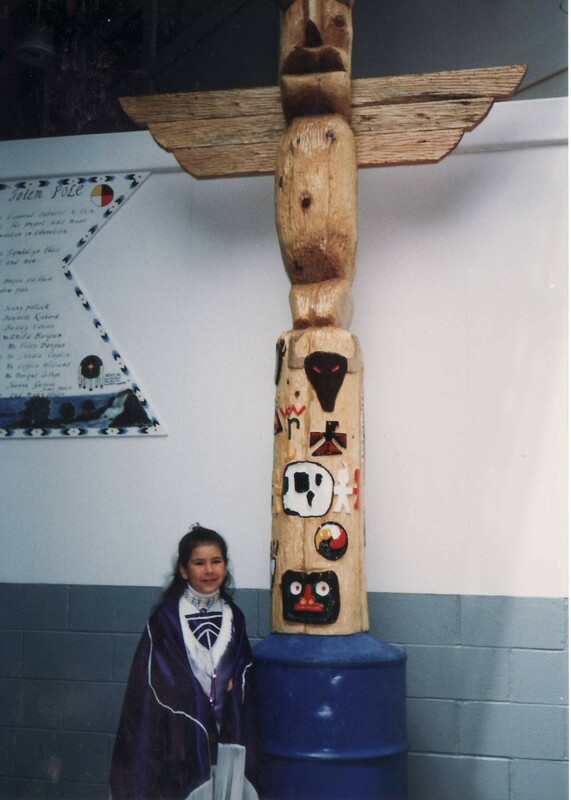 The Totem pole that sits on the landing as you enter the school was made by the students from the Native Studies class under the guidance and instruction of Don Caplin. My dad- Peter Basque – cut the log for the Totem pole and I brought the students to his gravel pit, where they learned how to shave a log using a traditional shaving device. An eagle flew overhead as the students were working on the log, which was a positive sign. 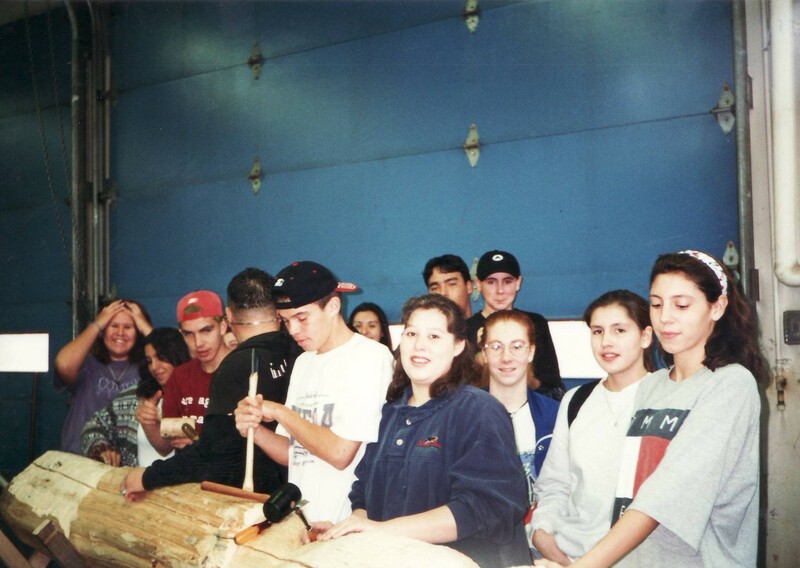 The log was brought to the school and each student designed their own creation, carved it into the log and then painted it. 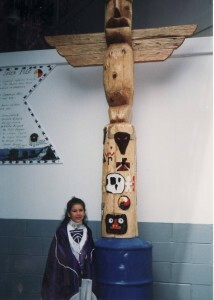 My logo with my initials – BKS – is located on the back side of the totem pole. 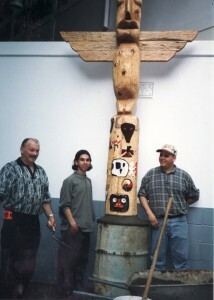 Mr. Lepage and my nephew –Timo – along with other students, mixed cement and erected the Totem pole in its present location. The plaque listing the individuals who participated in that activity, was made by students and hangs next to the totem pole. 10. 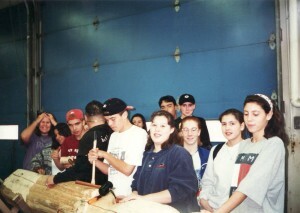 Totem Pole Assembly 1996 – This assembly was held to celebrate the completion of the Totem pole. 11. Trip to Cultural Center & Fort 1996 – As some of the students in my Native Studies class had never been to Listuguj, I decided to arrange a field trip to the Cultural Center and to visit Fort Listuguj. It was hard to believe that some students had never visited our community before that activity and they were impressed with what they saw. 12. 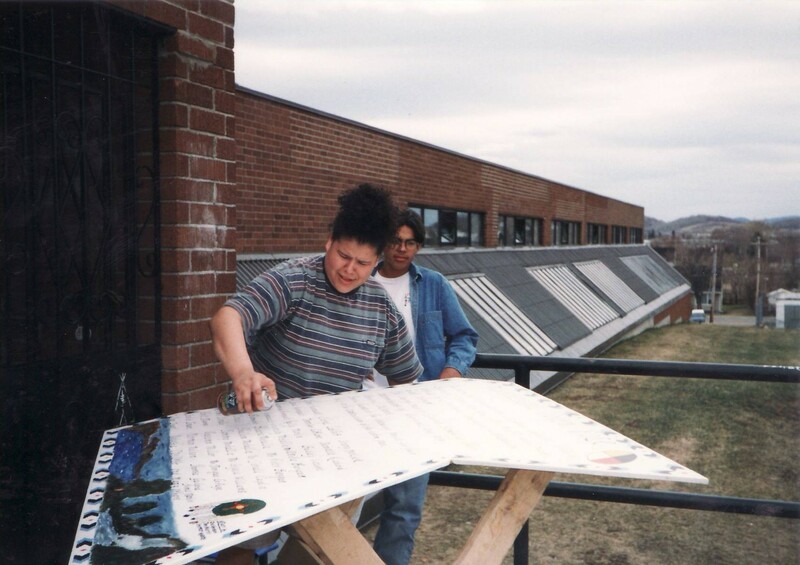 Jimmy Herman 1996 – The Cultural center at SSHS was one of the first ones established in the province of NB and people were becoming more aware of the work that was being done. We received many visitors from other schools and we were featured in the “Aboriginal Education in New Brunswick” newsletter. Jimmy Herman- an actor known as ‘Joe on North of 60’ was visiting in the area and heard of the Cultural Center and decided to pay us a visit. He was impressed with what he saw happening at the school and autographed a hand drum that is still located in the Cultural Center. 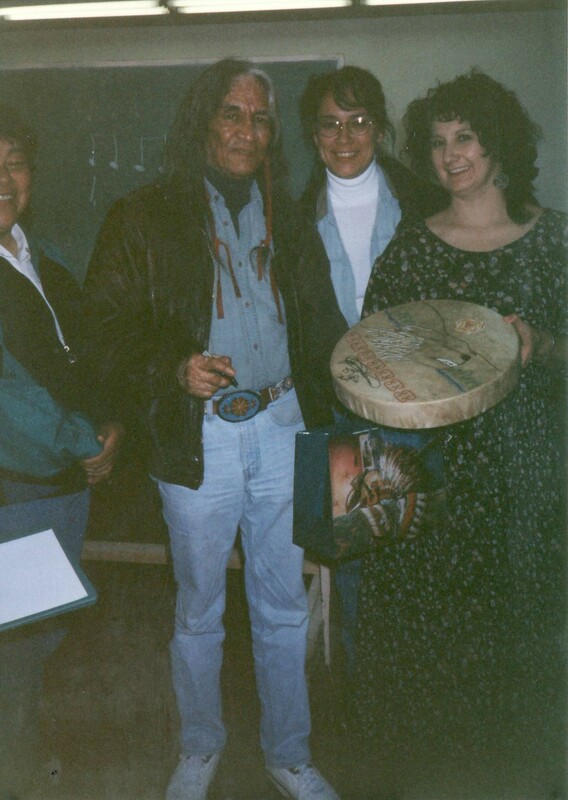 In closing I would like to read an excerpt from “The Demand” by Chief Dan George; who among many other things, was an actor and a poet from British Columbia. As Aboriginal people, we still have ‘limited’ special rights due to the treaties that were signed. And our ancestors did pay for those rights with our culture, language, and at times our dignity and self –respect. We cannot change the past, but we can change the Future. I believe, and I teach my students that ‘Knowledge Is Power”. Academic knowledge is important and equally important is knowledge about who you are – your culture, language, and traditions. At the community school in Listuguj – Alaqsite’w Gitpu School – , we try to include all aspects of knowledge in the teachings to the students. I feel that Sugarloaf does the same. Today is a good example of this. It was an honour to be asked to speak here today – enjoy the feast and the rest of the day.